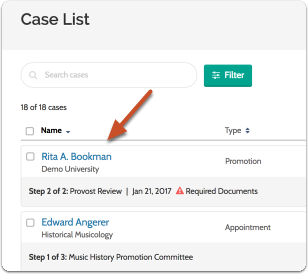 Administrators and Committee Managers can record committee voting on a case and enter the results into Review, Promotion, & Tenure. Committee Members can view a chart displaying the overall results and the number of each vote cast. 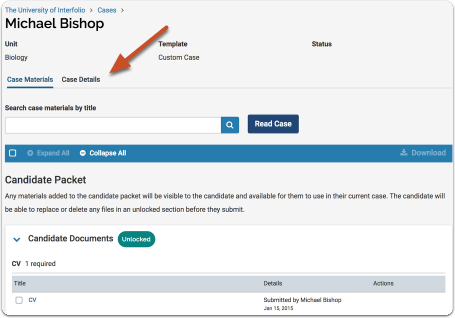 This article explains how to view the results of a committee vote from the "Committee Details" tab of the Case page. 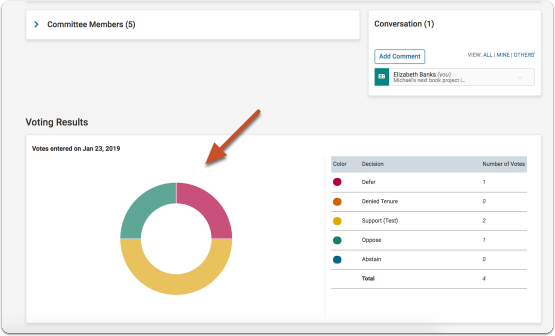 Voting results are represented with a circle graph displaying the overall results and the number of each vote cast.